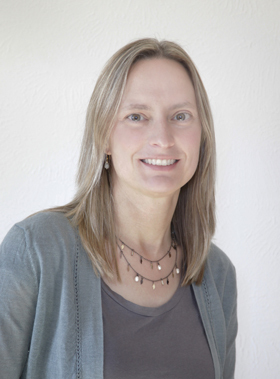 October 3, 2014 – The American Institute of Physics (AIP) has selected Boulder journalist Alexandra Witze as a winner of the 2014 AIP Science Communications Award for her writing on magnetic dynamos. Witze, who was one of four prize winners, will receive the prize in Science Writing-Articles for her essay “Spinning the Core,” published in Science News magazine. The Science Communications Awards of the AIP were established to recognize the best science writing in books, magazines and works intended for children, and new media in order to improve the general public’s appreciation for the physical sciences, astronomy, math and related science fields. The award committee that selected Witze’s article praised its engaging writing, saying it covered a topic both interesting and relevant to today. Witze will receive a $3,000 honorarium, an inscribed Windsor chair and a certification of recognition at the 225th Meeting of the American Astronomical Society (AAS), to be held January 4-8 in Seattle, Washington. Prizes were also awarded to Lee Billings who will receive the award for Science Writing-Books category for his Five Billion Years of Solitude: the Search for Life Among the Stars, published by Current/Penguin; Adrian Dingle will receive the award in Writing for Children category for his book How to Make a Universe with 92 Ingredients: An Electrifying Guide to the Elements, published by Owlkids (Scholastic); and Alok Jha will receive the award in the New Media category for his piece “Stephen Hawking’s big ideas … made simple,” published on The Guardian website. In her essay, Witze tells the story of researchers in several labs across the world who are seeking to understand more about Earth’s magnetism, and magnetism on other planets, by creating dynamos that mimic the earth’s inner core. In doing so, they are hoping to predict experimentally what may happen to Earth’s magnetic field. Witze weaves the stories of scientific struggle and unexpected development, while leaving the reader interested in learning more about what the future will reveal. Witze is a contributing correspondent for Nature and Science News magazines, writing news and features, primarily about earth sciences. A nationally known science writer, she has won awards and top journalism prizes from the American Geophysical Union, the American Meteorological Society and the National Association of Science Writers. Among other places, her reporting has taken her to the North Pole, to an earthquake zone in China and to Mayan ruins in Guatemala. Between 2005 and 2010, Witze served as features editor, new editor and Washington bureau chief for Nature, the international weekly journal of science. She has also worked as a general science reporter at the Dallas Morning News in Texas and as an editor at the first Earth magazine, in Wisconsin. Witze has a bachelor’s degree in geology from MIT and a graduate certificate in science communication from the University of California, Santa Cruz. With Jeff Kanipe, Witze is an author of Island on Fire, a book about the extraordinary 18th century eruption of the Icelandic volcano Laki. The AIP is an organization of 10 physical science societies representing more than 135,000 scientists, engineers and educators. As one of the world’s largest publishers of scientific information in physics, AIP employs innovative publishing technologies and offers publishing services for its member societies. Through its Physics Resources Center, AIP also delivers valuable services and expertise in education and student programs, science communications, government relations, career services for science and engineering professionals, statistical research, industrial outreach, and the history of physics and other sciences.